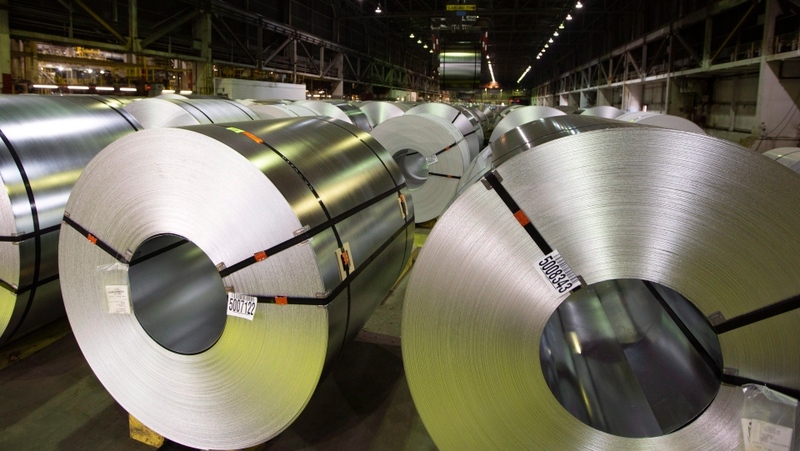 OTTAWA – The federal government has released its final retaliatory tariff list and is offering up to $2 billion in financial aid to the steel, aluminum and manufacturing industries. Freeland made the announcement at the Stelco steel company in Hamilton, Ont. Friday morning, alongside Economic Development Minister Navdeep Bains, Labour Minister Patty Hadju, and a handful of other Liberal MPs. "In all ways we have been very restrained… Our approach is that we will not escalate, but equally, we will not back down," Freeland said. $50 million over five years for Canadian companies to diversify exports, including new "export readiness" grants. According to the federal government, there are 23,000 Canadians employed in the steel industry, and 10,500 Canadian aluminum workers. Combined, they contributed $8.9 billion to the national GDP in 2017. The final retaliatory tariff list spells out more than 100 steel products that are being hit with a 25 per cent surtax including bars, rods, and flat-rolled products; 19 aluminum products including doors, nuts and bolts, and scouring pads; and over 70 other U.S. goods that will have a 10 per cent surtax placed on them. Among the items that made it on to the final list of miscellaneous American goods: specific types of yogurt, coffee, prepared meals, maple syrup, chocolate, pizza, quiche, gherkins, orange juice, soya sauce, ketchup, mayonnaise, whiskies, various household items and toiletries, sleeping bags, playing cards, ball point pens, and motorboats. A few of the products that were removed from the final list? Beer kegs, prepared mustard, and a variety of nut and fruit purees. 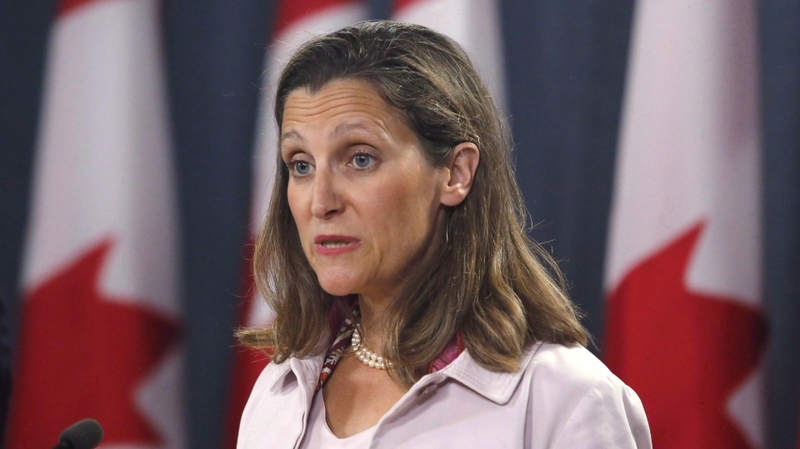 “Where possible we have sought to put products on the list that can be easily sourced from either Canadian, or non-U.S. suppliers,” Freeland said. Many of the tariffs affect American states that will be crucial for Republicans to win in the U.S. midterm elections this fall. For example, tomato ketchup is produced in the electoral battleground states of Pennsylvania and Ohio. Bourbon and playing cards are both made in Kentucky, home to U.S. Senate Majority Leader Mitch McConnell. If Canada’s tariffs have repercussions at the state levels, it could encourage Congress leaders in those states to challenge Trump’s tariffs against Canada. Canada is set to put its retaliatory tariffs in place on July 1, Canada Day, and will remain in effect as long as the U.S. tariffs on Canada stay in place. Prime Minister Justin Trudeau made that position clear in a phone call with U.S. President Donald Trump Friday. “As he has said in past conversations and in public, the prime minister conveyed that Canada has had no choice but to announce reciprocal countermeasures to the steel and aluminum tariffs that the United States imposed on June 1, 2018,” a readout of that call released by the Prime Minister’s Office stated. “The two leaders agreed to stay in close touch on a way forward." These tariffs represent a total of $16.6 billion in Canadian countermeasures on imports of steel, aluminum, and other products from the United States. They are in response to the U.S. imposing a 25 per cent steel tariff and 10 per cent tariff on aluminum from Canada, which came into effect June 1. Ottawa had been consulting on the proposed list of goods to mitigate any unintended consequences for Canadian businesses, though it is anticipated the tariffs and counter-tariffs will cost consumers on both sides of the border. The government says it is still working on getting the U.S. to lift their “protectionist and illegal” tariffs. In late May, when he was announcing the coming retaliatory measures, Prime Minister Justin Trudeau called it "a turning point in the Canada-U.S. relationship," and expressed hope that "common sense" would come from U.S. President Donald Trump. A month later the trade turmoil continues with Trump and his officials taking aim at Trudeau personally, as well as other Canadian industries over what the U.S. president calls unfair trade practices. “We expected that there would be moments of drama in this process, and I think that prediction has been born out and I think all of us at this point fully anticipate there will be some moments of drama in the future,” Freeland said. Freeland said in the last week she has spoken with her U.S. counterpart, Robert Lighthizer, six times, and restated her willingness to meet him wherever, and whenever. When asked if the federal government had assessed how many jobs could be at risk because of the tariffs, Minister of Employment, Workforce and Labour Patty Hajdu wasn’t able to provide any specific information, but said the federal government will assess if Ottawa needs to take further steps in the future. This afternoon a steel manufacturer in Sault St. Marie announced temporary layoffs of 40 workers, CTV Northern Ontario reported. Both the opposition Conservative and New Democrat caucuses backed the Liberal government when the planned retaliation was first announced late last month. In a statement, NDP trade critic Tracey Ramsey welcomed the measures but said more needs to be done to protect jobs. "This is a temporary fix to a long-term problem. Steel and aluminum workers are still deeply worried about their jobs, and auto workers are rightly nervous about the threats of 25 per cent tariffs," she said. "Working people will ultimately pay the price for the US-Canada trade war, and more must be done to defend their jobs rather than respond after their jobs have already been lost." Speaking to reporters in Ottawa about the federal tariff plans, Conservative MP Pierre Poilievre voiced support for strong measures to protect businesses, but didn’t state whether he considered what the Liberals were doing as such. He said Trudeau is in a "position of weakness" in this trade dispute, citing the current federal deficit and policies which he says are helping Trump take Canadian dollars and Canadian jobs. Earlier this week, the Tories launched their own "defend local jobs tour," to hear from workers and businesses impacted by the tariffs and threats of further trade action. According to the Canadian Press, Trudeau will be skipping the Parliament Hill Canada Day festivities and will instead be hitting the road, making stops in two cities where the tariffs are set to impact major industries: a steel refinery in Regina, and a food processing plant in Leamington, Ont. once used by Heinz.